Shinkai. 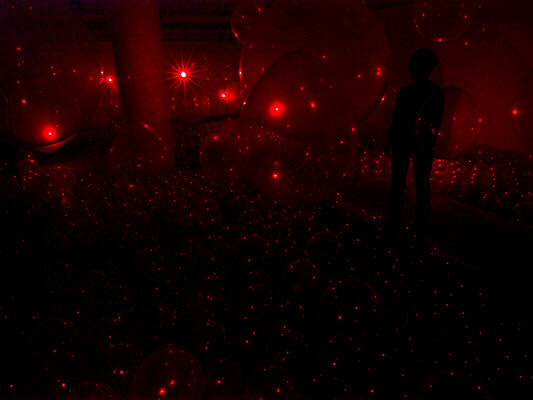 Architectural installation by Yumi Kori, sound by Bernhard Gal, New York City 2006. Bernhard Gal and Yumi Kori create audio-architectural installations. Since 1997, they have explored the interactions between aural, temporal and spatial situations and their influence on human perception and imagination. Their installations have been exhibited internationally, in cities including Berlin, Tokyo, New York, Seattle, Basel and São Paulo.